The essence of the plant hunting era has been elegantly captured and displayed in a state of the art glasshouse on the banks of the river Thames. 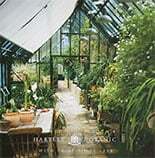 Part of a new, exclusive project in London’s East end, bringing plants, botany and horticulture back into fashion, the bespoke Hartley Botanic glasshouse is an extravagant stage prop within the theatre of this immense production. The impressive wedge-shaped glazed creation was carefully erected between established pavement trees, in a matter of days by the Hartley Botanic team. 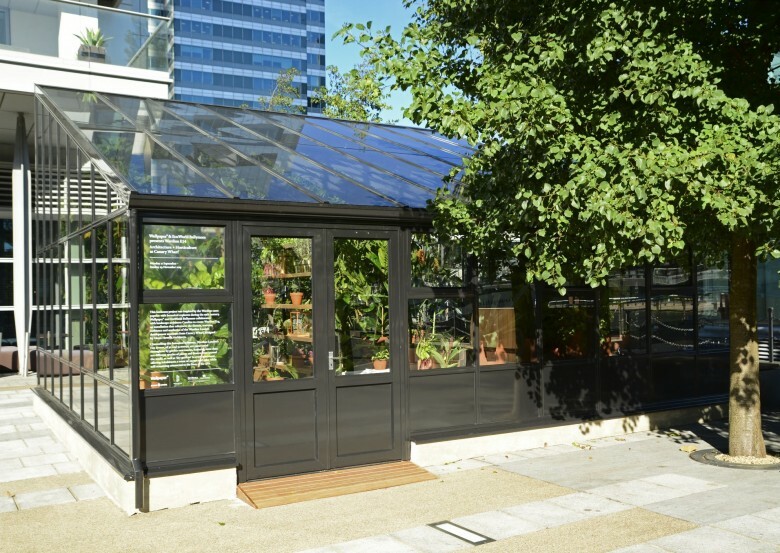 Transformed by a team of stylists and designers into a ‘pop-up’ marketing suite, the bespoke glasshouse, now styled as a Wardian Case was filled with botanical delights and quickly took the starring role. Inside, the dramatic wedge-shaped structure is a walk-in tropical paradise. It’s been artfully styled and planted with botanical wonders including the quintessential Victorian fern magnified with a monocular lens, the fascinating and prehistoric Wollemi Pine and historical hints of the spice trade with flowering ginger lilies. There’s a glass-fronted case, complete with ‘Grand Tour style’ traveller’s trophies from around the world and shelves packed with cacti, succulents and carnivorous plants. It’s a mini hothouse environment designed to complement the project and showcase the quality and drama and exclusivity of the scheme. 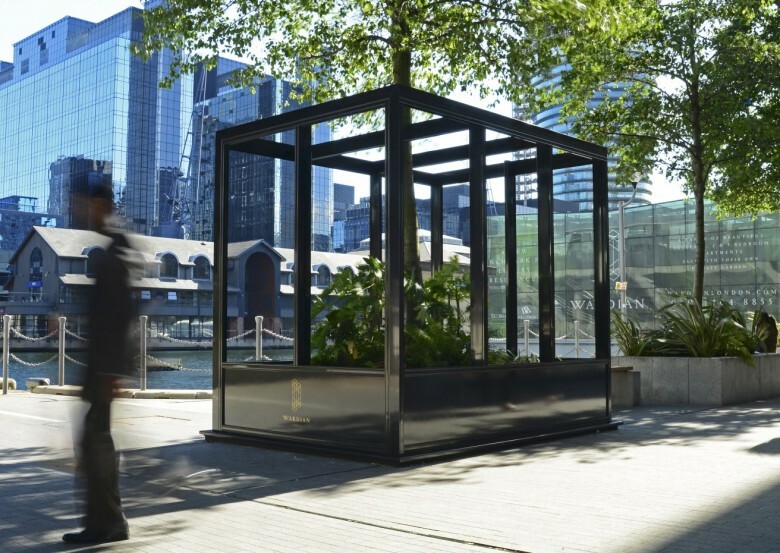 This temporary marketing suite is the first hint of what’s to come; A luxurious development of apartments taking urban gardening to heady new heights. A new development of two skyscrapers, called Wardian London, is sprouting up alongside, just a stone’s throw from the magnificent landscape of the Olympic Park and across the water from Canary Wharf on the Isle of Dogs. 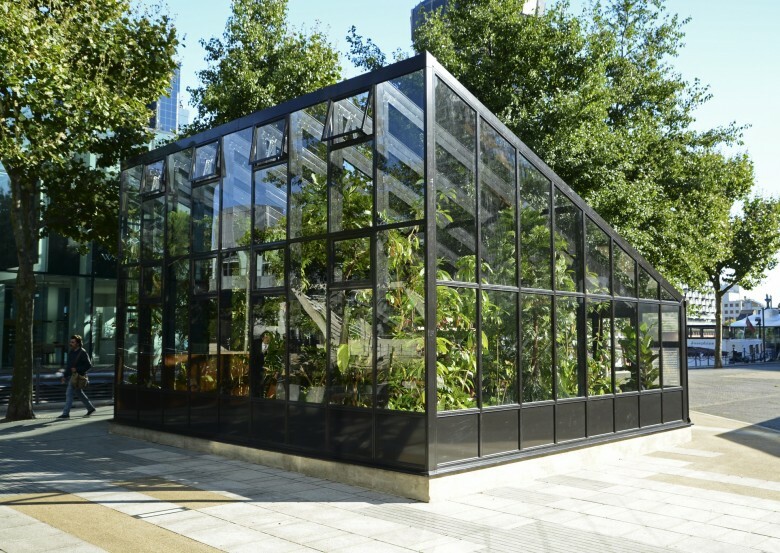 Wardian London has been designed by Glenn Howells Architects and was inspired by the traditional terrarium-like Wardian Cases, first created in East London to transport botanical wonders across the oceans, in the days of the plant hunters of the 19th Century. Each EcoWorld Ballymore apartment or suite in the Wardian London comes complete with a personal ‘sky garden’ offering inhabitants a unique sense of escape above the bustling London vibe. 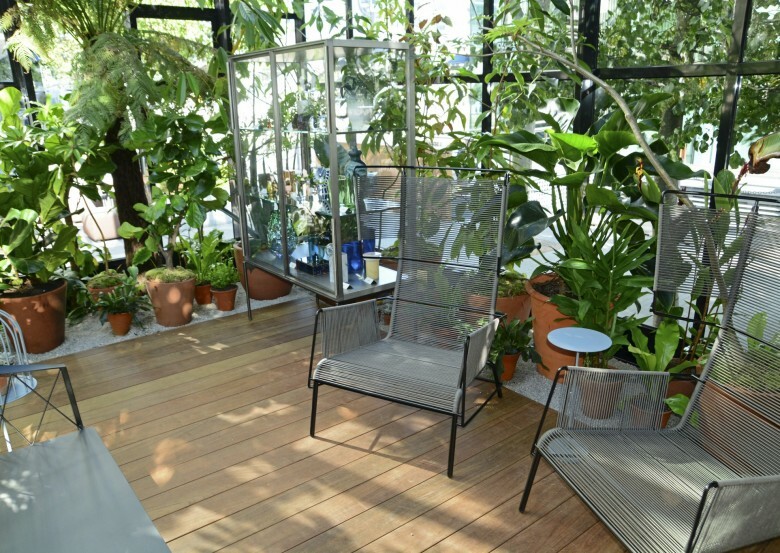 Every sky garden will be designed and planted to the specifications of each new owner and can be as lush or minimalist as required to create a horticultural space or a place to read and relax. It’s a game changer in terms of city dwelling, a garden in the sky with a breathtaking panorama of London below that changes with the seasons. Suites and apartments in the East Tower overlooking South Dock have just been launched. 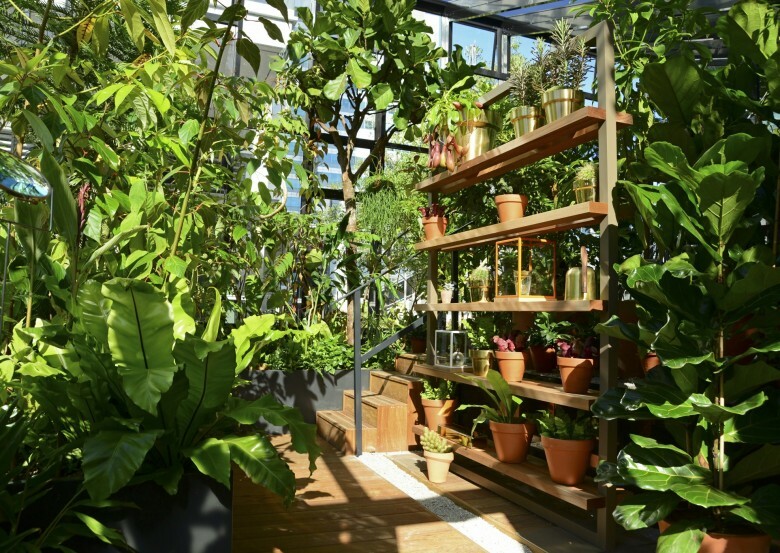 The whole development has botanical accents throughout including sunken gardens and atriums of plants to create a tropical paradise and a secret escape for its residents within the heart of this lively London business district. “Wardian London offers an exceptional opportunity to engage with the natural elements while living in the thriving hub of the city. Green space is one of the most sought after commodities in London and creating hidden garden sanctuaries here, inspired by Wardian Cases, was of vital importance to create a tangible retreat from city living,” said Huw Morgan, Camlins Landscape Architects.